The redesigned 2019 Ram 1500 was recently awarded a top spot on the WardsAuto’s 2018 10 Best Interiors list, showing that you don’t have to be a sedan in order to be luxurious. When it comes to a premium-level interior, it’s likely your mind automatically pictures a luxury sedan. That’s about to change, though. The redesigned 2019 Ram 1500 was recently awarded a top spot on the WardsAuto’s 2018 10 Best Interiors list, showing that you don’t have to be a sedan in order to be luxurious. The ten winners of the Best Interiors List were chosen after the WardsAuto editorial staff evaluated 40 vehicles. Each contender had to be either completely new or significantly upgraded for the 2018 or 2019 model years. For the 2019 Ram 1500, its redesigned interior made a lasting impression. Ram has utilized a number of premium materials to make this pickup truck a class leader in comfort, quality, and durability. 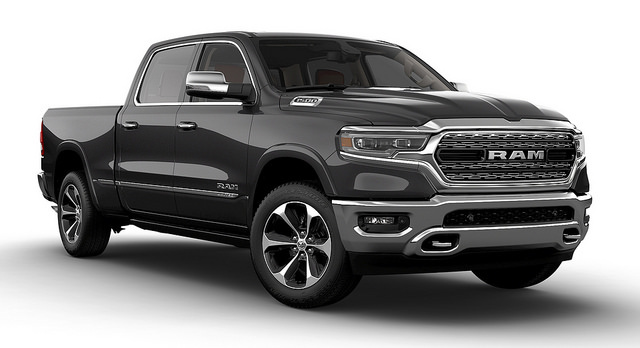 Each of the Ram 1500 model’s trim levels have their own individual charm, making it easy for truck lovers to find the right fit for their needs. Inside, the Ram 1500’s storage has increased, offering nearly 100% more capacity versus the truck’s closest competitor. It has also incorporated the first-ever Uconnect 4C NAV system with a 12-inch fully configurable touch screen. This screen was tailor-made for various Ram models, giving customers top-notch connectivity and entertainment options. The winners of this award will be honored on May 30th at the WardsAuto Interior Conference in Detroit’s Cobo Conference Center. But don’t just look at pictures or watch an awards ceremony: come see the 2019 Ram 1500’s interior for yourself at Rothrock CDJR!